This is the second of our two-part account of the investigation on Halloween weekend October 2016 at the Museum of the Mountain West (MMW) -- a collaboration of three paranormal research groups that conducted round-robin investigations at six locations within the museum's sprawling grounds near Montrose, Colo.
You'll notice for the following video clips that each team employed a combination of K-II and Mel meters. Both meters used in these experiments are designed to register EMF (Electromagnetic Field energy), and increased EMF is a phenomenon often reported during paranormal activity. Key to the experiments, however, is using two meters, where investigators ask for interaction with one meter (generally the K-II) but not the other. This helps us, as investigators, to eliminate the variable of random EMF emissions from the surrounding environment that could affect both instruments during each session. We're also careful not to actually touch the K-II unit when pointing to it (cautious about contamination due to a possible grounding effect). This Dry Goods Store interaction was one of the most surprising of the evening since that session suggested an intelligent haunting through a conversation with an entity well aware of our presence, and the respondent was willing to help us locate not only the particular dress but also a particular pair of shoes. What really got our attention is how the two separate spirit boxes both produced the name of "Annette" and how the K-II responded when Chris repeated that name later on in the session. 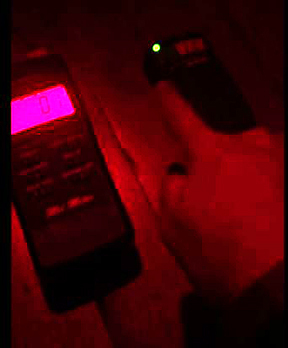 Listen carefully to the spirit box recordings to hear what additional responses you think the team may have captured. We've saved sharing the most intriguing investigation for last, one that took place in a building only recently moved to MMW, and so named because of its Empire-style architecture. However, this former home has a darker name applied to it by locals: "The Murder House." While the above session took place, in another part of the house Egan reported that she no longer sensed the dark energy she'd felt before the building was moved to MMW. But of equal interest was her impression that the woman was still in the house, and now content. It was an intriguing corroboration to what the student trainees captured in the above clip. Our joint investigations at the Museum of the Mountain West were ambitious, but it was also very fruitful. We want to return on a future date, of course, to see if we can replicate not only the responses we obtained but also the same kinds of interactions we recorded. 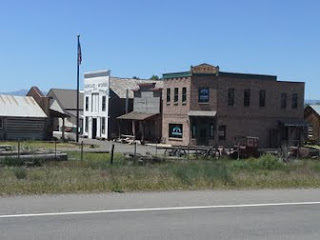 We're still having as much fun documenting current and ongoing investigations as we did conducting the investigations for our book, WILD WEST GHOSTS. 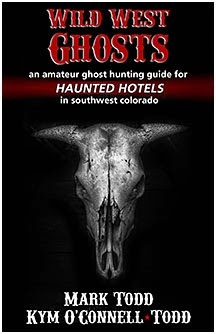 There are puzzling experiences and encounters aplenty out there, and you just may want to pick up a copy of that book for either armchair musings or else as a guide for your own expeditions into the fascinating world of the paranormal. You can buy the book as either an e-read or a trade paperback. Visit our Website for links. Dan Brown could learn a thing or two from debut novelist Neil Spring. While Brown's DaVinci yarn did a marvelous job blending historical fact and speculative fiction, readers seem to have missed the difference for the most part, unable to distinguish anchoring details from make-believe. Spring, by contrast, avoids this trap - but more on that in a moment. The Ghost Hunters is a clever and engaging portrayal of controversial real-life 1940s British ghost hunter/ghost buster Harry Price. But Spring spins his yarn through the distancing eyes of Price's assistant, Sarah Grey, and the novel calculatingly reveals as much or more about this purportedly "supporting character" (think Robert Penn Warren's All the King's Men and the final denouement role reversals between Willie Start and Jack Burden). The story also tells us much about mid-20th Century Spiritualism and the emerging attempts by scientists and researchers to grapple with über-scientific "evidence." The narrative also provides rich explorations of the mores of the times and the attitudes toward working women before, during, and after WWII and beyond in the UK. I'd call this a psychological tale as much as a supernatural one -- in fact, the reader must decide (and must do so multiple times throughout) which one best applies to events portrayed in the narrative. One of Grey's take-away reflections near the end of the book may sum it up best: "[T]hose who hunt ghosts are hunted, in turn, by them." And yes, readers can take her remark either literally or else symbolically. Spring does a wonderful job researching his material -- so much so, it's often hard to tell his yarn-spinning form his depictions of actual even if, at times, incredible events. Where Spring avoids Brown's "reality check" trap is in the novel's "Author's Note" that follows the narrative, in which he reveals what was true and what was make-believe. As I read the novel, I resisted valiantly (though not always successfully) from referring to his bulleted points that delineate his tale's liberties with the actual "facts" surrounding the adventures of these ghost hunters. I've almost said too much already, desperately wanting to share more but not wanting to spoil your own revelations if you decide to read this book. Is it a perfect book? No. I found the frame-tale a bit too predictable, and from too far away. But the tale within the tale was very, very good. Check out our Hint Fiction stories of 25-words or less, suggesting (but not telling!) what's going on in the first four books of the series. Click on the far left tab above. Thanks, M.L. 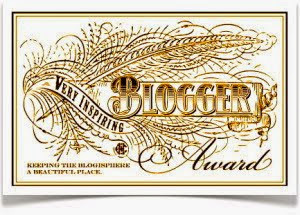 Swift, for this recognition!